THE South Africa government intends to repatriate eight undocumented Zimbabwean children who were recently smuggled into the neighbouring country through Beitbridge Border Post. The children, who were smuggled into the neighbouring country in November last year, were found in a truck in Rustenburg en-route to Cape Town. They are currently under the care of South Africa's Department of Social Development pending their repatriation to Zimbabwe through Robert Gabriel Mugabe International Airport in Harare. In a statement, South Africa Social Development spokesperson Mr Bathembu Futshane, said Minister Ms Bathabile Dlamini on Thursday received confirmation from the Ministry of Labour and Social Welfare of its willingness to receive the eight minor children. "The confirmation letter stated that the Zimbabwean Ministry of Labour and Social Welfare was prepared to receive the eight unaccompanied minors at the Robert Gabriel Mugabe International Airport from where they will be taken to places of safety in Harare while documentation, tracing and reunification efforts were underway. "The Department of Social Development has a Memorandum of Understanding with its counterpart in Zimbabwe on matters related to unaccompanied and undocumented minors," said Mr Futshane. He said the Department of Social Development has been working with the Department of Home Affairs for the safe return to Zimbabwe of the children. "To this end, the Minister of Social Development is working tirelessly with the Department of Home Affairs to make sure that the children are transferred into the care and protection of the Zimbabwean Government as per the provision of the MoU as well as regional and international treaties, including the African Charter on the Rights and the Welfare of the Child and the UN Conversation on the Rights of the Child to which South Africa is a signatory. In terms of these treaties South Africa has an obligation to protect the human rights of all children within its borders, irrespective of nationality," said Mr Futshane. The South African Government has also enacted the Prevention and Combating of Trafficking in Persons Act. The eight children, aged two to 12, were rescued after a truck they were travelling in was intercepted in Rustenburg en route to Cape Town. The children, who were unaccompanied and undocumented, were reportedly on their way to visit their parents who are in South Africa illegally. Mr Futshane said the office of the Consular-General of Zimbabwe is fully aware of all the developments as their office has been highly involved. "They have conducted interviews, assessed and confirmed that the children were of Zimbabwean nationality. It should be noted that the children were issued with repatriation certificates by their Consular-General after the determination thereof," he said. 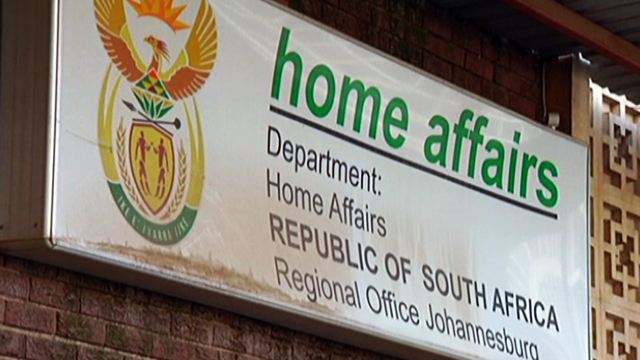 Despite stiff fines imposed by the South African Home Affairs stipulating that omalayitsha caught smuggling undocumented travellers or those with expired passports or no valid visas, into South Africa, are required to fork out a fine of R15 000 per person, the smuggling of undocumented persons continues unabated. Last year in December more than 100 children without requisite travelling documents were repatriated back to Zimbabwe from South Africa after being smuggled by cross border traders (omalayitsha) during the holiday. The Zimbabwe-South Africa Cross-Border Coordination Committee for Unaccompanied and Separated Migrant Children has on many occasions raised concern over the rampant smuggling of minors between the two countries' borders. The committee, which is made up of officials from the two countries' social service departments, immigration, police, non-governmental organisations and human rights lawyers, said between January and May last year, a total of 150 children were intercepted while being smuggled into either South Africa or Zimbabwe, while 79 local minors were held at care centres in Limpopo province during the same period.